The proportion of inactive people who report not working because there are no jobs or believe they don’t have the right skills. Download Data. 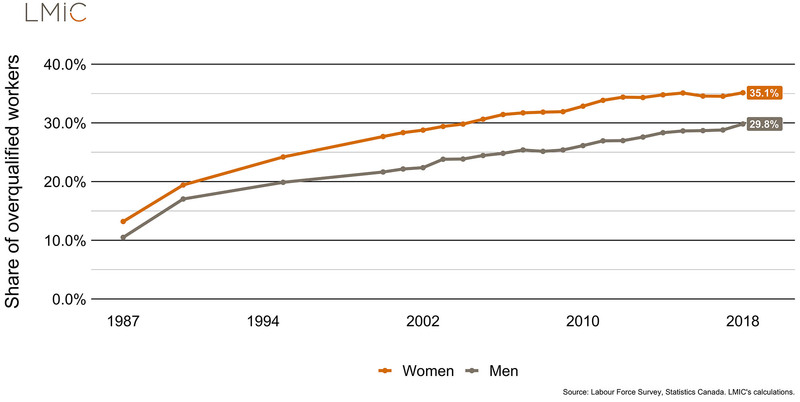 Overqualification Rates among Employed Canadian Men and Women.